Ori Alon is the Director and Founder of the Empowering Clerks Network (Center for Supportive Bureaucracy), the largest international organization issuing Playful Paperwork documents such as the Joy Permit, Forgiver’s License, Racism Release Form, Refurbished Report Cards, OK Parent Award, Apology Declaration and more. He co created the Hidden Fortune Wheel street art project for empathy, posted thousands of alternative street signs and memorial plaques and facilitated the White Men Registry by the NY Diversity Authority. 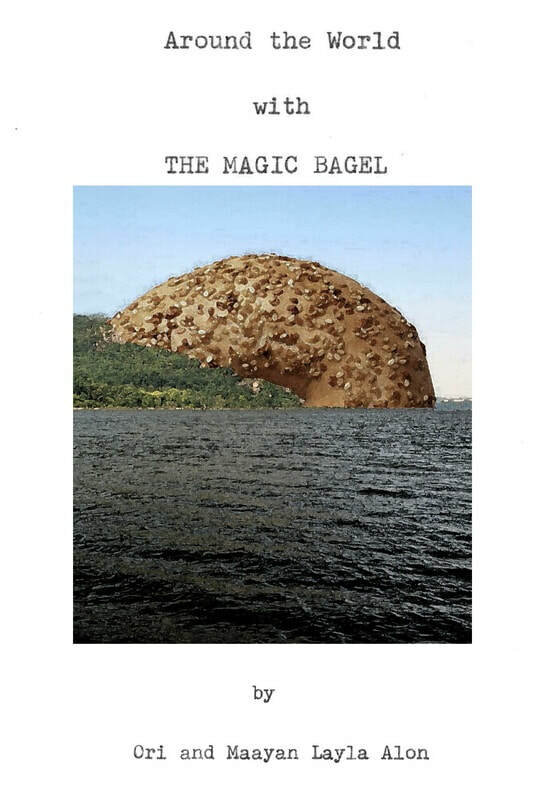 Alon creates a comics series with postage stamps and the Magic Bagel children's book series. Currently Alon is running for Mayor of Beacon NY, offering free ice cream for elders, 17 percent tax deduction for men who express vulnerability and to only say positive things about his opponents. You can view his different works on this website and contact him if you have any questions or would like to invite him as a guest artist at your event. 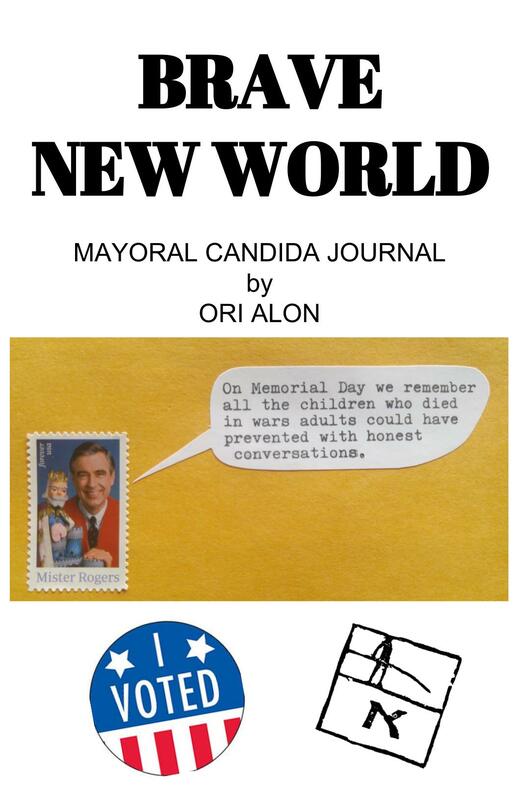 Books by Ori Alon. Click to open PDF ebooks. Gift economy based - support my work or Pay it Forward with time/money/talent to another cause. Enjoy reading! USE www.bit.ly/ECNvertical and www.bit.ly/ECNhorizontal to open google docs of all documents, alternative street signs, permits, diplomas and traveling visas. Print directly from browser. Register your EPF (Empowerment Processing Facility) by filling out a simple form or GO ILLEGAL and be an undocumented ECN Branch (according to ECN regulations). 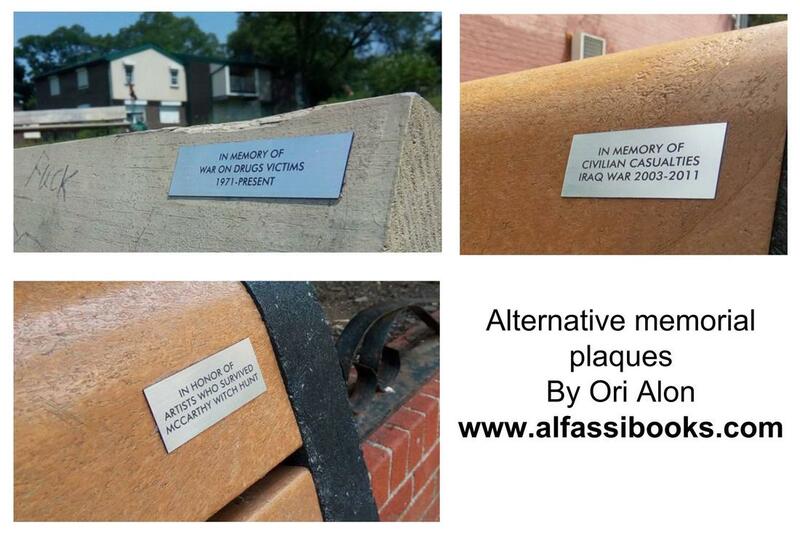 YOUR DONATION WILL HELP INSTALL MORE ALTERNATIVE MEMORIAL PLAQUES. IF YOU'D LIKE A PERSONAL MEMORIAL PLAQUE FOR A PERSON / CAUSE THAT IS IMPORTANT TO YOU PLEASE CONTACT. SAD NEWS!! Kickstarter declined my project to raise $148,000,000 to reestablish the National Endowment for the Arts. Sad! ECN runs on your support! Help us develop and distribute more documents, offer office hours in various places and train new Empowering Clerks! The Center for Supportive Bureaucracy - Alfassi Books raised over $1200 to American Refugee Committee (ARC), Doctors Without Borders, NY soup kitchens, Moms Demand Action against gun violence and residents of Flint, Michigan. If you're interested in using Playful Paperwork to raise money for important causes we'd be happy to help you with that. 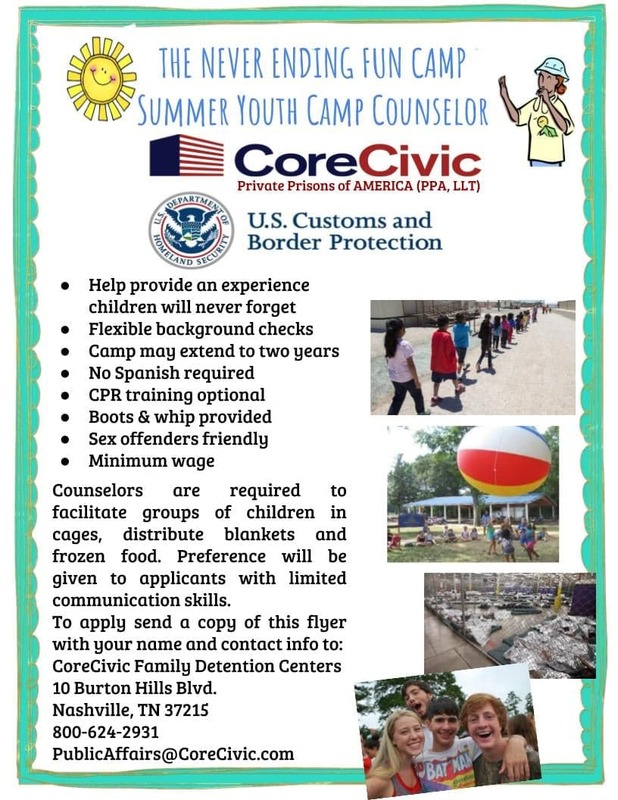 Please contact one of our bureaucracy specialists!